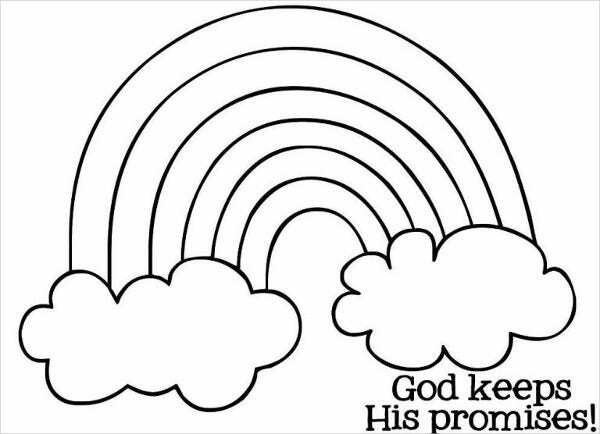 Rainbows are the perfect subjects for coloring. It consists of seven different colors that harmonize with each other. 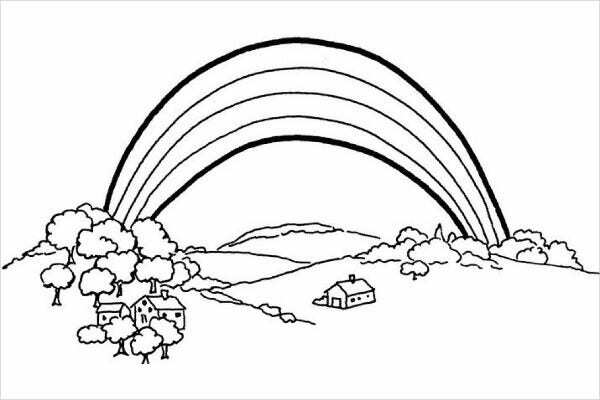 For rainbow-themed coloring pages, the different colors will help add life to the primary subject. 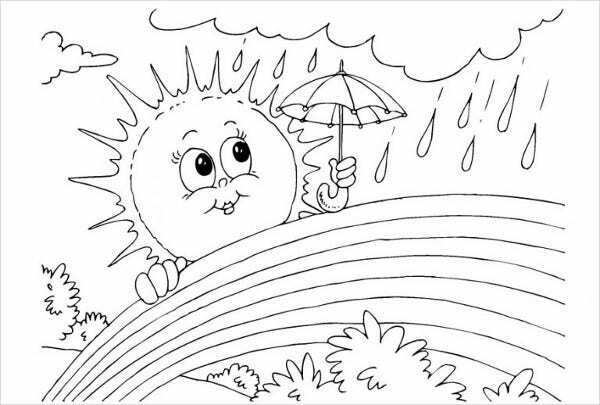 Coloring pages are not only fun but are also therapeutic for both children and for adults. It can help develop our cognitive and motor skills. And for elders, coloring pages can also help in preventing illnesses such as dementia. 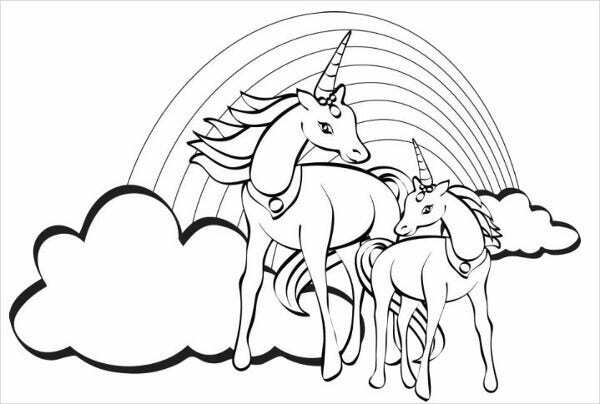 Check out our collection of Coloring Pages For Adults to get you started. 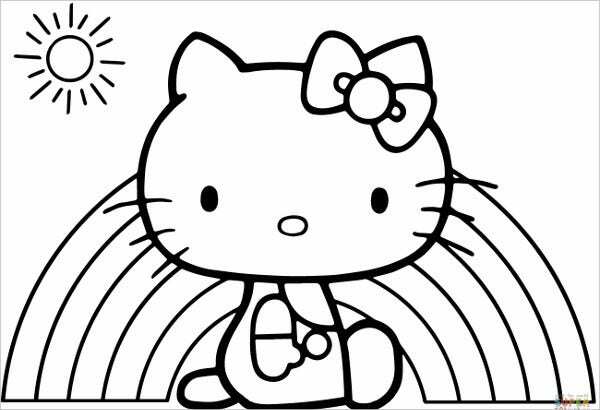 Coloring books, by definition, are books containing images or patterns with line art only to which people are required to do the color application afterwards. People may choose to use whatever coloring material they wish, such as crayons, color pencils, or watercolor to name a few. Coloring pages can stimulate a child’s creativity. 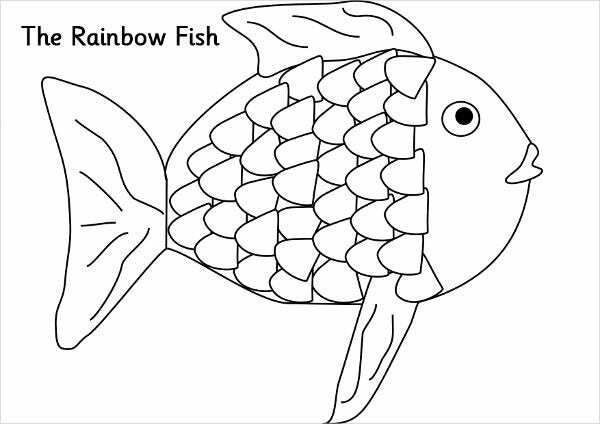 Coloring pages can teach children how to focus and to observe boundaries. 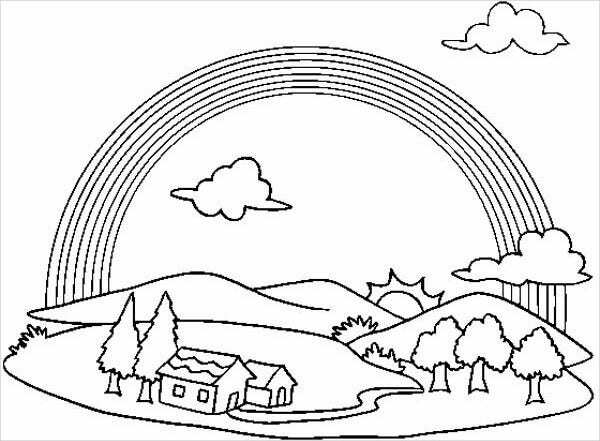 Coloring pages can prepare a child to school by being familiar with the different colors and knowing how to hold a writing material properly. Coloring pages can motivate adults to express themselves through creativity. Coloring pages can help adults in relieving stress and reducing anxiety. Coloring pages can help adults in prevent cognitive problems—such as Alzheimer’s—by keeping their minds busy. 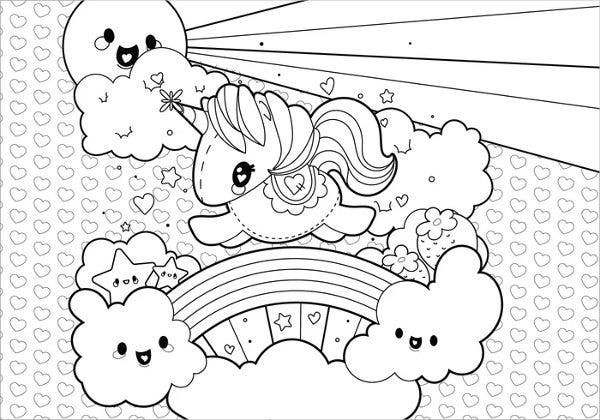 Check out our collection of Fairy Coloring Pages. We’re certain your little girls will find them attractive and fun to color. Rainbows are defined as an arc of spectral colors that appear in the sky opposite the sun as a result of both reflection and the bending of sunlight in water droplets in the atmosphere. A rainbow is actually a full circle of light. But since we are viewing it on the ground, we only get to see half of the circle. The colors of the rainbow—red, orange, yellow, green, blue, indigo, and violet—were identified by Sir Isaac Newton. Lunar rainbows, or moonbows, occur when the moon’s light reflects through the water droplets. When the sun is lower, the rainbow will be higher in the sky, and if the sun is higher, the rainbow will be lower in the sky. In Greek mythology, Iris was believed to have come with the rainbow as the bridge between the heavens and Earth. Earth is the only planet in the solar system where rainbows are possible because of its unique weather. 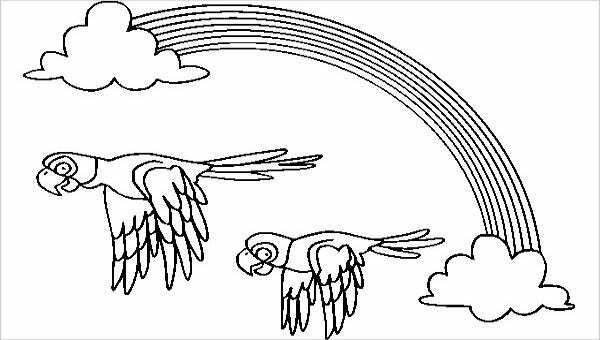 For even more cute and fun coloring pages that your children will surely enjoy, you may also check out our collection of Star Coloring Pages. 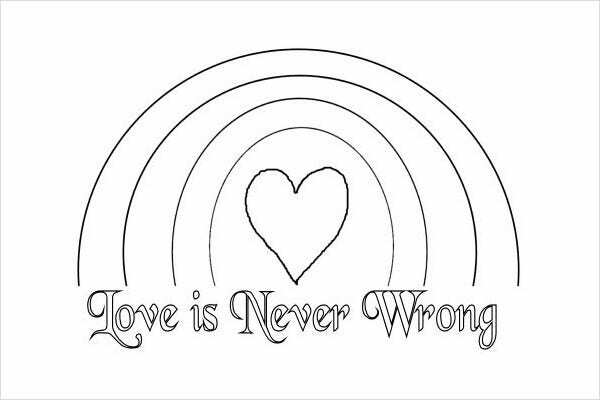 Did you like the coloring pages that we have to offer? If you did, then download your own coloring page now. 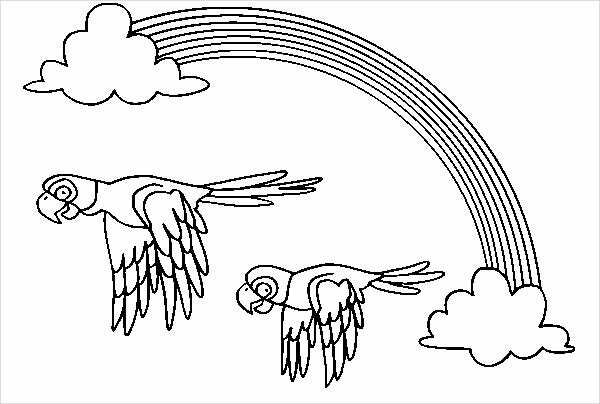 You may choose to download these in either JPG or AI format and then have it printed on paper so your children can already start coloring it. If you are planning to use watercolor, we recommend you use a thicker type of paper, such as construction paper or the ones used to print out business cards. Now what are you waiting for? Get your coloring materials ready, download the coloring page of your choice, have it printed, and have fun with them.